Are You Ready for Your Great Trip? Dine with a view of the Ponte Vecchio, or cross it to visit the hand-crafted jewelry shops. 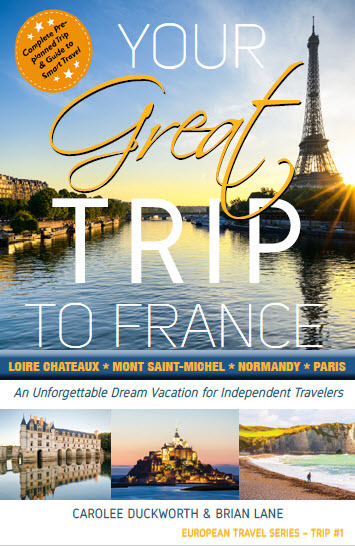 Visit four of the supreme destinations in France: the Loire Valley, Mont Saint-Michel, the Normandy coast and Paris. Go chateaux-hopping like the Renaissance royals. Then select your favorite "little" retreats for future visits. Stay on the Mont, as the early pilgrims did, while the ocean tides race in to surround this gem, cutting it off from the mainland to create a perfect haven of solitude and peace. Take to the water to move among the five charming and colorful villages, perched at the water's edge, with a mountain backdrop. What Is The “Great Trip” Travel Style? What Makes It Unique? . . . .
We believe that ultimate travel is not just a trip to “see sights,” but a life-changing journey that is to be fully experienced and remembered. It is glorious and enthralling. It is never to be forgotten. Travel should be balanced…not overwhelming. It is engaging…not superficial. It opens the way to encounters with the locals and does not disconnect you from the people in whose homeland you are a guest. Ultimate travel is not dictated by the constraints of traveling in a group, with rigorous time limits. It is made in freedom to immerse yourself in a place—its culture, history, and people. Its sights, sounds, senses and energy. Begin to envision your trip in vivid detail as you are guided through the process of making the arrangements, preparing yourself well for a successful journey, and embarking on a kind of travel that will immerse and absorb you so completely, that you will return home already planning where you would like to travel next. You will feel inspired, well-guided, confident, empowered and ready to set off on your own travel odyssey. 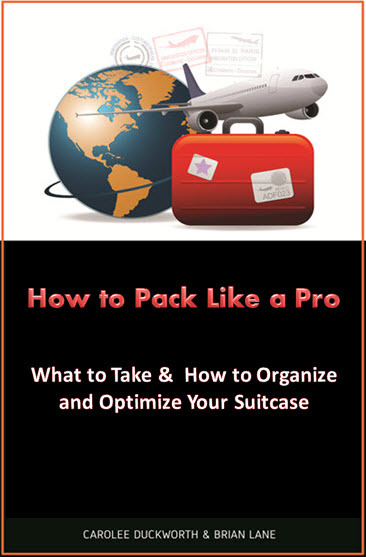 Subscribe now to download your free copy of "How to Pack Like a Pro: What to Take and How to Organize & Optimize Your Suitcase" and to receive a 35% discount code for Your Great Trip to France at https://www.createspace.com/3701540.